Unlike other drivers, motorcyclists lack the safety benefits of steel cage surroundings, bumpers, airbags, or safety belts. Motorcycle collisions often result in serious injury or death, specifically when the other driver is at fault. Due to the serious nature of motorcyclists' injuries, we believe these cases call for attorneys who focus on personal injury law. 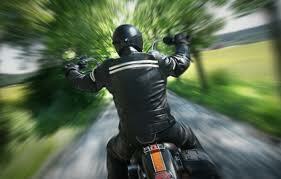 Injured bikers usually have fractures, have undergone surgery, or often will need future medical care. We routinely consult with treating doctors in order to fully grasp the nature of your injuries, past treatment, and future treatment which may be required. Complete knowledge of medical evidence allows us to correctly represent your interest to an insurance company executive, judge, or jury in a court of law. How Are Virginia Motorcycle Accident Cases Different Than Car Accident Cases? Motorcycle cases involve many of the same issues and challenges as exist in a car accident case. However, there may be unique issues of insurance coverage which apply strictly to motorcycles. For this reason, you may wish to discuss your accident with an attorney. As in any case, the insurance company is experienced and has its own legal counsel. They're not necessarily looking after you. You'll find that our goals are direct: to represent your interest only, "even the playing field" on your behalf, and get the right result. Andrew Thomas was referred to me by a good friend as the only lawyer to speak with about my personal injury case. I will be honest I was at first hesitant to speak with a lawyer, but after 24 hrs of the Insurance companies playing " Its not my clients fault" scenario, I called Andrew. He called me back almost immediately. He has a very impressive background, which was the first thing that caught my attention. Working in the Collision Industry myself for the last 20 + yrs, I know what insurance companies are like. With the injuries I sustained, I had more important things to worry about. Andrew eased any concerns or fears I had in our first meeting, and it never changed. He stressed to me to only concentrate on healing and getting myself feeling better, and to leave everything else to him. He cares about his clients, and he knows how to deal with insurance companies. My case was settled very fairly and he made sure I received the best compensation possible in my case. His staff is Wonderful! They make you feel like you have known them forever and that you are more than a client, you are family. Andrew is the best! Do yourself a favor, don't mess around, get the best! Call Andrew Thomas.